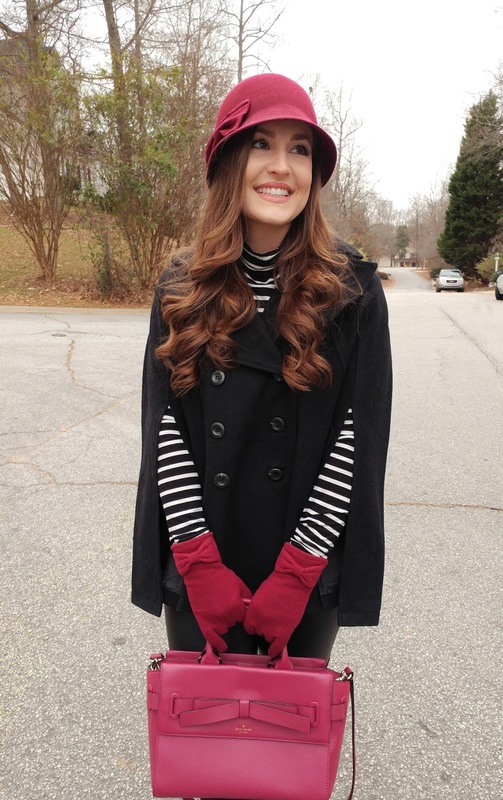 I absolutely love this burgundy and black cape coat look. It's giving me Downton Abbey vibes, plus a little Blair Waldorf. What self-proclaimed fashionista doesn't love that!? haha. Y'all, don't miss out on these Aldo boots that are on super sale right now! They're so so cute and a great heel height for everyday wear. I hope you're having a lovely week and a great start to 2018! I kind of can't even believe I just typed that, but here we are! As always, thanks for reading. Enjoy your day! Awww! Favorite outfit! Love the cape coat. 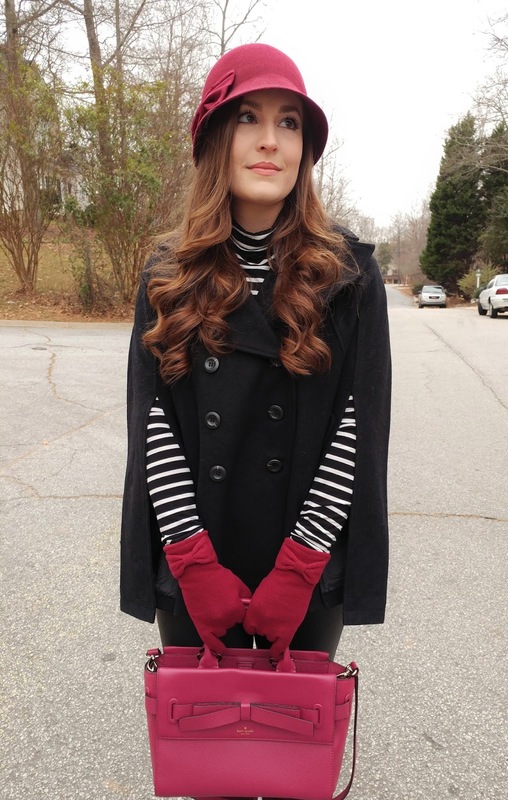 Definitely Blair vibes! Thank you!! It's actually really nice not being confined by sleeves. Great look! 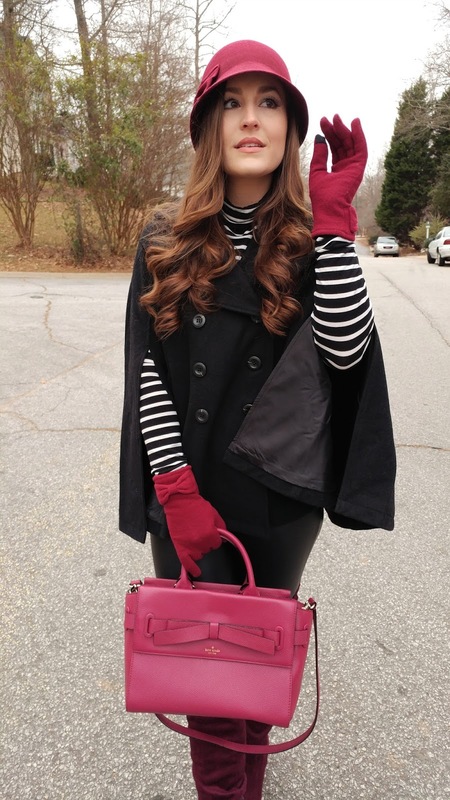 The hat, cape and gloves make you look so classy and almost like British royalty! Have a wonderful 2018! That coat looks so cute. I love it. I adore your cape coat! So cute with the hat. This is sooo edgy, and classy look, I love it! 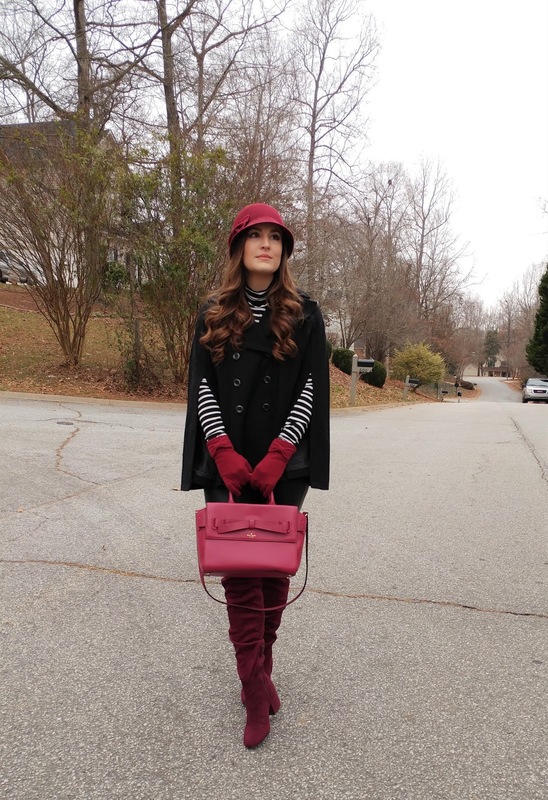 Love everything in this outfit, especially the hat and the OTK booties. 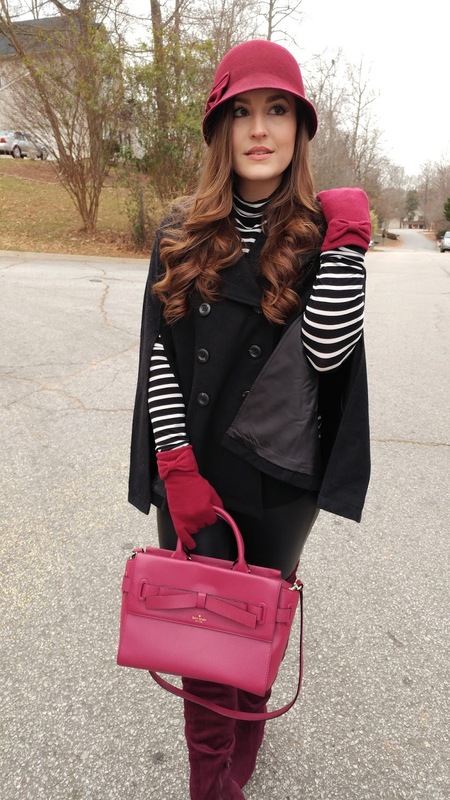 Both complement the coat perfectly.